Fish are some of the most popular pets in the world, and keeping them at home can be a brilliant way to brighten up any room. However, knowing how to keep them safe and happy isn’t always easy. Don’t worry; we’ve got you covered on how to put together the perfect tropical fish tank. So let’s start at the bottom. What kind of substrate should you have in your tank? This all depends on the type of fish you want to own. Bottom-dwelling fish, such as catfish, will benefit more from a fine sand as rocks or stone could damage their bellies. 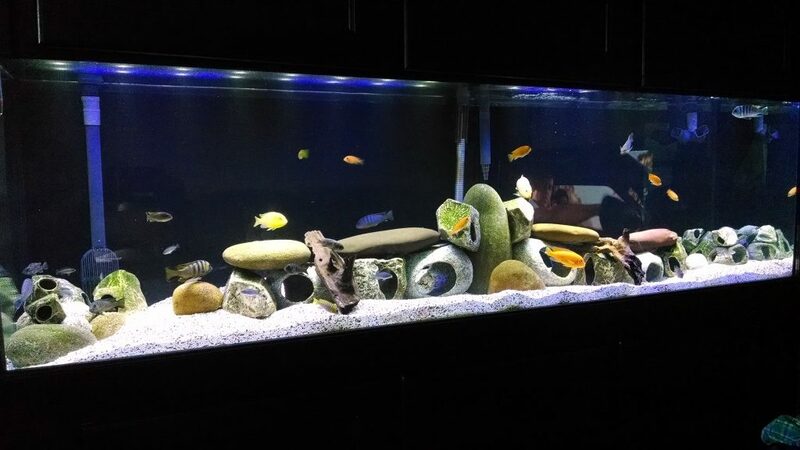 However, larger rocks can offer a more natural environment for your fish while gravel can be the perfect breeding ground for the bacteria needed to keep the water healthy. You’ve chosen your substrate, and now it’s time to move onto the water. Unfortunately, you might want to hold off on filling up those buckets with the tap. Tropical fish live in warmer water meaning you need to create a bucket that matches their environment. Plus, you will need to treat the water with a clearing substance that will remove any harmful chemicals, such as chlorine, before you can place it in your tank. Put the fish down and step away from the tank; there are still some extras you need first. One of the pieces of kit you will need is a filter to ensure your water is kept moving in your tank. This helps avoid the buildup of any algae in the tank as well as keep the bacteria moving. You may also need a heater to keep your water the perfect temperature, and a thermometer to keep an eye on the stats. Decorations serve more than one purpose: they help to brighten up your tropical fish tank as well as adding plenty of spaces for your new friends. Bridges, hides, and logs can be the perfect place for many of your fish to hide away from the others. Real plants can also be a brilliant way to add in some essential oxygen to the water as well as adding their own bacteria cultures to the mix to help try and keep things natural. Now, it’s time for the fun bit: the fish! 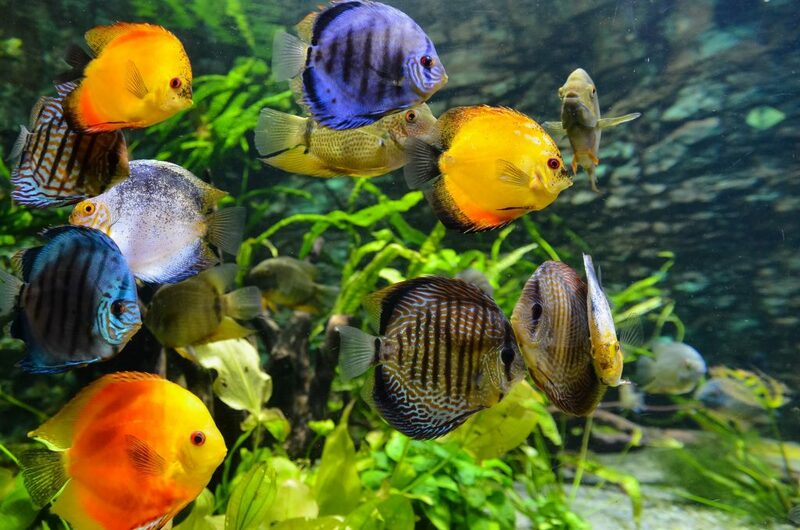 There are so many types of tropical fish to choose from, and it’s all about finding the right mix. The size of your tank plays a huge role as this will determine the size of the fish you can buy. Then, it’s about finding the correct blend. For example, fighting fish can be kept with others, but can’t socialize with other fighting fish or guppies as they look similar. 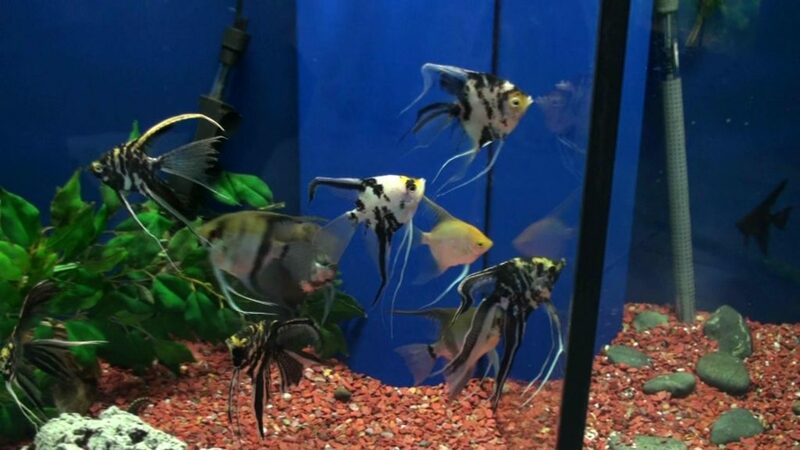 Angelfish might also nip at smaller fish. Your local fish store is usually the best place to get all the advice you need. Tropical fish can brighten up any room and can be the perfect way to welcome pets into your house without the responsibility of a larger animal.